Just the thought of becoming a foreign exchange student can send your mind flying in a myriad of directions, all exciting, all promising of new knowledge and adventures. You may start envisioning yourself in exotic lands, visiting unique places, learning foreign words or even mastering a new language, understanding different cultures, and lifestyles or trying new delicacies to excite your palate. Where Would You Like To Go? For How Long? There needs to be a degree of compatibility between who you are and the place where you want to spend your stint abroad. Take the time to do some introspection and truly admit to yourself what kind of experience you are looking to live. Is your current home in a big city and are you looking to experience life in a quieter, more bucolic, less hectic location? Or do you want to experience life in a huge metropolis and maintain a hectic pace? Are you willing to move to a city or town where you do not speak or barely understand the language? You have to face how easy it is for you to learn a foreign language and whether you are willing to feel frustrated every time you try to buy something to eat for lunch. Consider as well the time you want to spend abroad. Although the easy answer may be just one semester, think about the time and effort involved in getting there and what you will feel when you have to turn around and fly back home just a couple of months later. Would a full year abroad result in a more enriching experience? When will you have this kind of opportunity to be abroad in the future? Probably not too soon, particularly once you graduate and start your professional life. Keep in mind, some of the above questions may not be easy to answer right now. If that is your case, give yourself credit for having an adventurous spirit and be willing to take a risk and allow yourself the joy of experiencing something that is not familiar to you at all. You may be tempted to ask someone for references on a program, and that is always a good thing to do. However, when analyzing the replies, don’t forget to take into account who the person is giving you this rating is. Do they focus on the same things you would? Are they truly a good reference point considering the differences in your personalities? Can you conclude anything about the location or the program based on what this person is telling you? Do your viewpoints on other subjects generally coincide or is this some friend-of-a-friend you barely know? Don’t let some stranger’s opinion cloud what could truly be an outstanding experience for you. What Are The Benefits Of Being A Foreign Exchange Student? Besides acquiring new knowledge and immersing yourself in a foreign culture, there are additional and considerable benefits to studying away from your home country. The best way to really learn a second (or third) language is full immersion. And the best way to achieve that is by living in a country where everyone around you speaks the language you are trying to learn. Which forces you to use that language in order to effectively communicate with everyone around you. You also end up learning the language in a more natural way, incorporating idioms and expressions that the locals use. Studying and living in a foreign place will most likely take you out of your comfort zone at the beginning. You will learn to try out a new way of life which includes new customs, new traditions, and celebrations, new ways to eat and new flavors. At the end of your time abroad you may feel you have been transformed into somebody new, with a broader view of the world. Finally, going abroad may end up implying benefits towards your professional future. Depending on your area of study, employers today are definitely stressing the importance of international cooperation and understanding. Therefore, students who have foreign experience, know another culture and can speak in more than language, have a decisive advantage. Full academic years or semesters are the longest study-abroad options. These types of programs are best suited for those students that are looking to have a truly immersive global experience. The length of time implies additional costs so that these programs may not be accessible to everyone unless scholarship or other financial alternatives are available. These are definitely much shorter than other study abroad options. They last from one to eight weeks and may happen at any time during the year. They are mostly introductory courses that can help any student intent on gaining international experience but cannot afford a lengthier program. These programs encompass three or four months and may be more suitable for those students who have a smaller budget or are more hesitant to commit to going abroad for a longer period of time. Internships are an interesting option because they offer students the possibility of combining study and work. As a result, they give students a more complete panorama of their professional path. Also, gaining global work experience helps these students become better candidates when it comes to facing the job market. Yet, these types of opportunities tend to be more intense and time-consuming than other educational programs. These types of programs are geared towards community service projects as they incorporate them into a study abroad experience. If this catches your fancy, know that you will most likely end up working with local people which will reward you by offering you a better understanding of native life, culture, and customs. The length of these program varies, depending on location and what the project is about. Teaching others not only gives you the pleasure of helping them but also translates into the development of interpersonal skills and leadership qualities that will help you become a better educator. In general terms, these programs involve teaching English to foreign students of different ages. They range from six months up to two years in length. Where Will You Live While You Are A Foreign Exchange Student? Undoubtedly this course of action will give you many rewards. As a foreign exchange student, you will have the opportunity of living with a local family, thus enhancing your language skills and getting to know and understand their culture better and in a more authentic way. These relationships will probably endure for years to come. In some cases, food and other basic needs are provided by the host family. On the other hand, you have to take into account that you are living in someone else’s home where other rules and curfews may exist. Depending on the space you are giving within that home you may feel you don’t enjoy as much privacy as you do at home or that the standards of living are not what you are used to. If you are going abroad after living in a dorm at your own college or university, selecting to live in a college dorm abroad will not result in a terribly different experience for you. Most likely, our location will be convenient when trying to reach your new classrooms and other school facilities. The Resident Advisors will be there to provide additional support in both academic and social matters. On the other hand, you have to remember, dorms are not quiet places and living in close quarters with so many of your friends may result in you not being able to concentrate when it comes to your studies. Your bedroom may not be very spacious, and you may have to look into the available meal plans offered, if any, besides paying the housing fees. This may be the most expensive option, and you will be handling all responsibilities relating to meals, bills, laundry, and cleaning. Transportation to school (which may be far away) will add to the expenses. On the other hand, this option gives you the freedom of choosing where and with whom to live. It also offers you the opportunity of renting with a group of friends or going it alone. How Much Will A Foreign Exchange Student Have To Pay While Abroad? Besides the obvious expenses of tuition and housing, one of the main considerations when planning your budget is the place where you want to go. 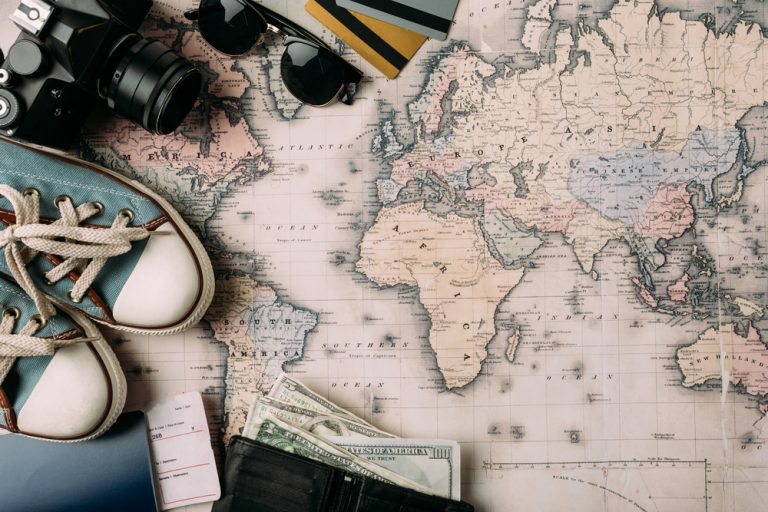 In general terms, cities and towns in Australia and New Zealand, East Asia and Western Europe will result in higher expenses, while if you plan on going to a location in Africa, Southeast Asia, Eastern Europe or Central and South America, you will spend less. The distance between your hometown and your home abroad also plays a role in how much to budget for. Considerations such as whether you plan to travel home for year-end vacations, for Thanksgiving or for a variety of family obligations, also add up. Learning to take the bus or subway, ride a bicycle or use a scooter can result in savings when you think of more expensive transportation methods such as renting a car or riding taxis. Learn to do what the locals do and save some money in the process. You will definitely want to get to know your host country, and even neighboring ones, when you have a long weekend or other time-off periods. Look for accommodations in youth hostels rather than opting for a hotel. Take advantage of slower seasons and travel during less expensive times. As a foreign exchange student, you want to have a great time and socialize with both the friends who are abroad with you and the new acquaintances you make there. Still, it is a good idea to stick to a fixed meal budget. If you are planning on taking a credit card with you, first find out the card’s policies regarding foreign transaction fees which can quickly add up. Paying with cash may work better for you and help keep you on budget. Look for free functions and other activities where locals gather, instead of falling for the usual bar scene that can really drain a budget. Make sure you have a valid passport before setting off. If yours is about to expire or you need a brand new one, give yourself enough time to get your passport mailed to you with plenty of time. And speaking of time, find out what type of visa will be required depending on the length of your stay and the type of program you will be attending. Some visas require several months to be processed. Get your flight booked as soon as you know your departure date. This way you can really shop around and get the best price for your ticket. Find out how many bags your airline will allow you to carry and if there are any additional costs for extra bags. Have you found out from your cell phone provider whether calls from a foreign country are included in your plan? If they are not, prepare a plan before leaving. Otherwise, those long-distance calls will add up and may completely unbalance even the tightest budget. And remember, this is a unique experience that may come around only once in your life, get ready to enjoy it and make the most of every day you are there. Foreign Exchange Students – What is Involved?